The car-sized Mars 2020 rover will be noteworthy for a variety of reasons. It will be on the lookout for evidence that the red planet once supported microbes. It will test a method for producing oxygen from the Martian atmosphere. And it will be the first NASA mission to contain plutonium produced at ORNL. NASA uses plutonium—specifically the isotope plutonium-238—to power its space explorations. Specialized generators take heat produced by the isotope’s radioactive decay and turn it into electricity to power faraway missions. With a half-life of nearly 88 years, Pu-238 is an excellent long-term source of power. It outlasts chemical fuel and, unlike solar power, it doesn’t wane as a mission speeds away from the sun. The United States lost its ability to produce Pu-238 when the Savannah River Site’s K Reactor in South Carolina shut down in 1988. That loss and our shrinking inventory of the space-powering isotope fueled concern that the lack of plutonium-238 could stifle NASA’s ability to do its job. In response, DOE has been ramping up a collaboration with Idaho and Los Alamos national laboratories to replace the nation’s supply of Pu-238. The heart of that effort lies in the abilities of two ORNL facilities: HFIR and the adjacent Radiochemical Engineering Development Center. REDC, which is equipped with hot cells, takes neptunium oxide provided by Idaho National Laboratory and turns it into pellets, which are assembled into targets that are loaded into HFIR. HFIR bombards the targets with neutrons, causing neptunium atoms to become plutonium atoms. And REDC then runs the targets through a chemical separation process to isolate the plutonium and recycle the unused neptunium. The program, aimed at producing 1.5 kilograms of plutonium each year, is well on its way, having completed three production campaigns. The third, which was completed in early 2018, recovered about 250 grams of new plutonium. The material needed to be relatively free of other radioactive materials such as uranium, thorium and neptunium, as well as chemicals such as zinc, boron and phosphorous. The plutonium content also needed to be better than 82 percent Pu-238. The ORNL plutonium easily met those requirements, and in fact came in at 86 to 88 percent Pu-238. 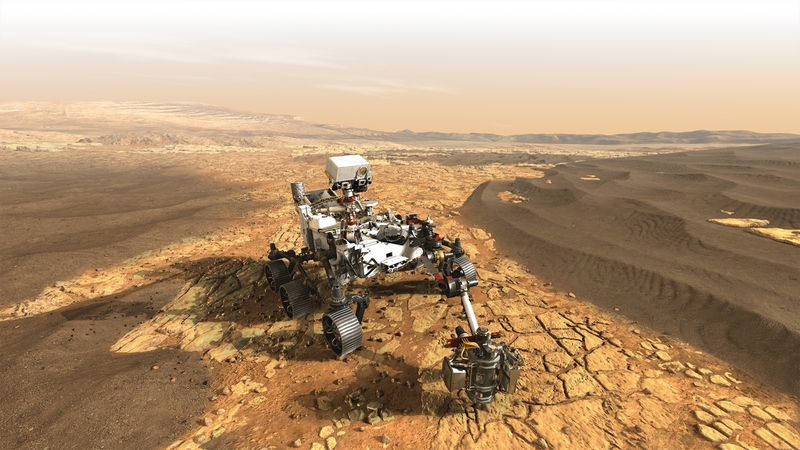 Generators on the Mars 2020 rover will contain a mix of plutonium from the Savannah River Site and ORNL, Wham said.